CFIBWC is a non-profit 501c3 organization. is to provide educational, cultural, social and recreational programs in the Central Florida area to enhance their quality of life. a community where women and their families are educated and empowered to lead healthy, safe, and self-sufficient lives. In 1992, the Central Florida International Black Women’s Congress, Inc (CFIBWC) formerly, the Central Florida Chapter International Black Women’s Congress, Inc was founded by Corine V. Wilson and began operating as a non-profit organization under the umbrella of the National organization, International Black Women’s Congress (IBWC) currently, headquartered in Norfolk, Virginia. The CFIBWC focused on networking and education through monthly meetings, annual regional meetings, conferences and workshops. Ongoing projects sponsored by CFIBWC are the “Genesis: Top Notch Teens (TNT) Rites of Passage” program, annual women’s health conferences, and education stipends. Our networking model has its origin in traditional African cultures encompassing the sharing of information, knowledge and services for the good of the community. In this role, the organization provides education and outreach programs forums to adult and adolescent females that empower, encourage, and increase awareness; enhance physical, emotional, spiritual, social and economic well-being. Our organization reaches the communities in Lake, Orange, Osceola, Seminole counties, and beyond. In addition, the youth symposium s outreach to the youth, (ages 11 -17) providing mentoring and citizenship behaviour approach for developing the quality of life concepts such as productive leadership, self-esteem, and community service. Central Florida International Black Women’s Congress, Inc brings a majestic history on our “Red Dress” Women’s Conference incubated and birth in 1993 by the visionary, Corine V. Wilson. National International Black Women’s Congress Founder and President Emeritus, Dr. La Francis Rodgers-Rose rejuvenated the power of the color red. She spoke life into the color of “Red” breaking the silence of our beauty and exhilarating zest for life by sharing the history of Black Women and we were not allowed to wear bright colors suppressing our vibrancy, identity, and individuality. A quest to stay empowered and to empower others, CFIBWC encourage others to wear bright, lively colors – like red, yellow, orange and bright greens – to embrace joy and live in exuberance stimulating the body, mind, and spirit our annual Red Dress conference evolved. Central Florida Chapter International Black Women’s Congress has continued the “Red Dress” tradition for 20 years. In March, 2003 the torch of leadership was passed to Regenia S. Miller as Executive Director. 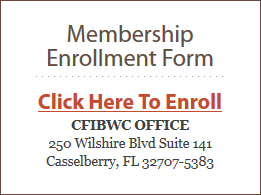 In October 2004, the CFIBWC began operating as a 501c3 non-profit organization. Continuing the organization tradition and partnering with other organizations each year we focus on a theme that will empower and encourage adolescent and adult women with knowledge for the betterment of self. The theme includes various Topics that are important to our well being, bringing balance and wholeness, of mind, body and spirit.